QuickTime player is a free program developed by Apple and claimed as the best place to play any video and media clips from personal resource and internet. However, you may find that QuickTime player won’t play your DVD movies. According to the QuickTime supported format list, DVD video format (like VOB, Video_TS, ISO or IFO) is not included. So if you want to play DVD in QuickTime, you will need to convert DVD to QuickTime playable format first. To play DVD in QuickTime, a DVD ripping program is needed. 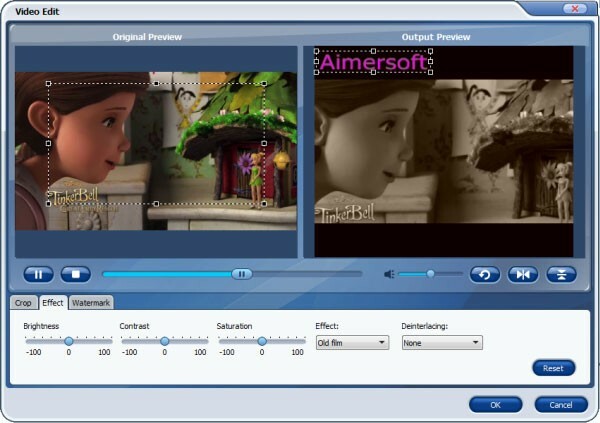 Here the Aimersoft DVD to QuickTime Converter (Windows version) is highly recommended to help you rip DVD movies to QuickTime MOV, MP4 or M4V format with fast speed and high output video quality. In addition to QuickTime supported video format, it can also rip and convert DVD to all other regular video formats like MPEG, MKV, FLV, AVI, WMV, 3GP, VOB, etc. If you are using QuickTime on Mac (including 10.9 Mavericks), try Aimersoft DVD Ripper for Mac to convert DVD format. 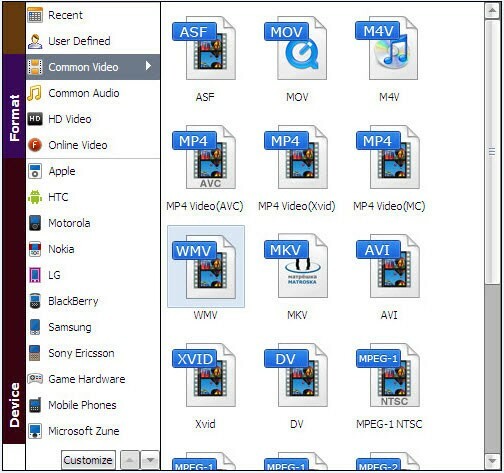 Note that the quick start guide below uses DVD Ripper for Windows screenshots to show you how to convert DVD movies to QuickTime MOV in Windows 8/7/XP/Vista. The way to do the conversion on Mac OS X (Mountain Lion) is almost the same. Just make sure you've downloaded the right version. Click the Load DVD button to load DVD movies to the program. The detailed information of your DVD movie will be displayed. You can then preview them and choose the chapters you want to rip. Tips: If you want to embed metadata information (like DVD movie editor, actors, conver, descriptions, etc.) to the DVD video, just click the Info button to open the metadata editing window. Then enter the DVD movie name and click the Search button. 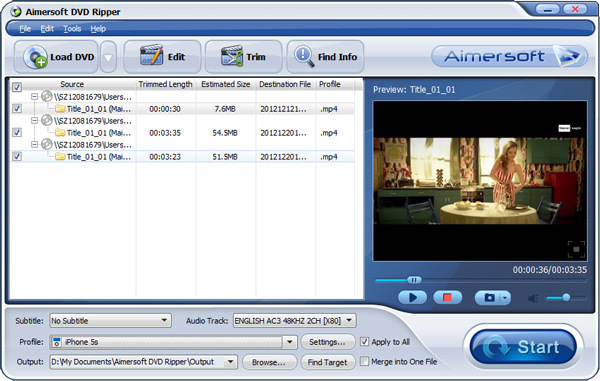 Aimersoft DVD Ripper will find out all the information for you. Click the "Profile" drop down list to select MOV (QuickTime playable format) as the output format. Then click "Output" drop down list to select a proper destination folder for output files if you want to change the current default output folder. A. Crop - Crop the video frame size for better visual effects on the player. B. Trim - Split the video clips to choose your favorite part of the DVD movies. C. Effects - You can change the video parameters like brightness, saturation, contrast and more. After all preparations, click the Start button to rip your DVD movie to QuickTime MOV. When the conversion completes, click Find Target to get the converted MOV files and play them with QuickTime freely. Play DVD in QuickTime by converting DVD to QuickTime acceptable format on iMac or MacBook is also very easy and time-saving. Below are the detailed steps about how to play DVD with QuickTime by converting DVD video format on Mac. 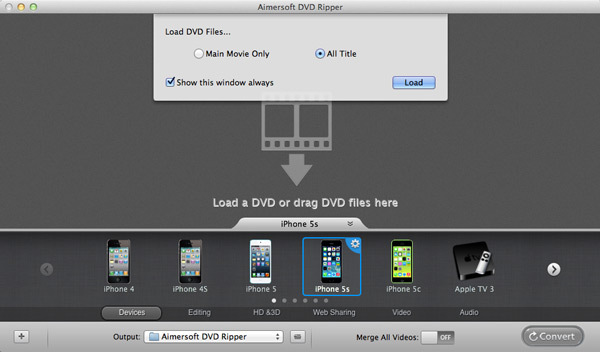 Download and install Aimersoft DVD Ripper for Mac into your iMac or MacBook. Insert a DVD into your Mac's DVD drive. (For MacBook, you need to connect the external DVD drive first.) 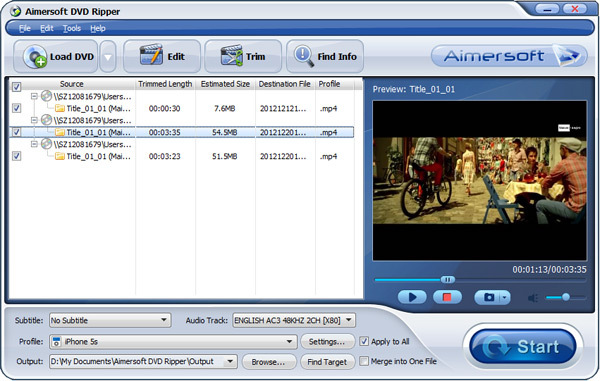 Launch the converter and click the "+" button to import DVD files. Another way to import DVD files is: Click "Files" > "Load DVD Files" on the menu bar on top of your computer desktop. Tips: A DVD may have multiple titles and each title contains one or more chapters. After a DVD movie is loaded, its contents will be listed. Tick "Merge all videos into one file" then all the clips will be combined into a new video. After successfully loading in your DVD videos, choose QuickTime supported format as the output format. Here MOV is highly recommended. On the right top of the format icon, there’s a setting button, where you can customized detailed parameters of the output format as you like. When all settings are done, click the Convert button to begin the conversion. 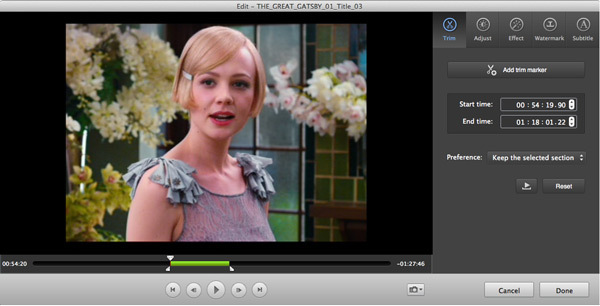 Tips: To play DVD on QuickTime with better visual experience, you can edit your movie files at will. DVD Ripper for Mac will help you to trim any clips or join several clips as you want. You can also cut off the black edge of your DVD movie to enjoy your movie in full screen by clicking the "Crop" tab on the editing interface. Video brightness, contrast, saturation and the audio volume can also be adjusted. If QuickTime is the default media player on your computer, then you can double click the video and QuickTime Player will launch automatically and play the video files you choose. Method 1: Find out the target folder and choose the video you want to play, right-click it and choose QuickTime as the open mode. Method 2: Launch QuickTime and click "File" > "Open File", then choose the video you want to play. Method 3: Directly choose and drag the files to the QuickTime player icon. After you releasing the mouse, QuickTime will launch automatically and open the videos you choose.